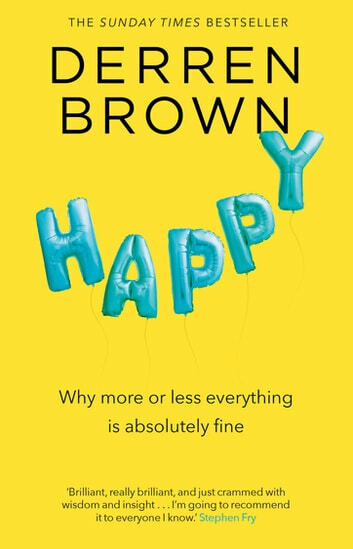 In Happy Derren Brown explores changing concepts of happiness - from the surprisingly modern wisdom of the Stoics and Epicureans in classical times right up until today, when the self-help industry has attempted to claim happiness as its own. He shows how many of self-help’s suggested routes to happiness and success – such as positive thinking, self-belief and setting goals – can be disastrous to follow and, indeed, actually cause anxiety. Please note that customers may receive this title with either a blue or a yellow cover. Happy to review this lovely book. Mr. Brown is a tricky character to fathom. Neither magician nor mind reader he nevertheless mystifies with his keen intellect and astonishing use of language. This scholarly work explores what we were, what we are and what we may become. Mr.Brown's style is such that there is little ambiguity in his observation of the human condition. 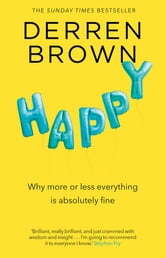 Happy is not a self help book, more a manual for the mind. The authour is keen to highlight and avoid the unhelpful mantras of DIY brainwashing which he opines do more direct harm in maintaining a realistic perspective. He concentrates rather on that which has proved to have a positive influence on his own outlook and the lives of others.